The famous 2. 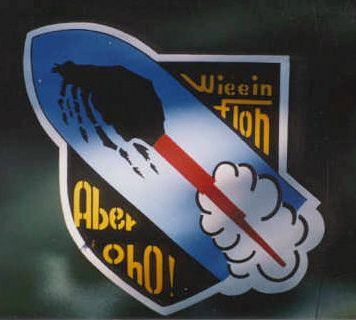 Staffel badge, as painted on the replica. The badge was designed by Komet pilot Hans Bott.